Obituary – Thomas, Mary “Loriene” (Snyder) « Perry High School Alumni Association, Inc.
(Mary) Loreine, 84, passed away Thursday, April 7, 1994. She was born April 11, 1909 to Rev. Abraham and Cora Snyder. 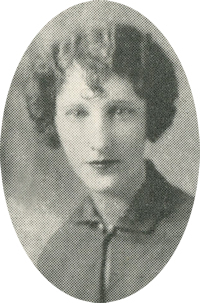 She married John Thomas in 1929 and was a member of St. John’s United Methodist Church in OKC. She was preceded in death by her husband, John Thomas. Survived by two sons, Dr. Jack Thomas and wife, Phyllis of OKC, Charles L. Thomas and wife, Lucille of California; seven grandchildren and eight great grandchildren.